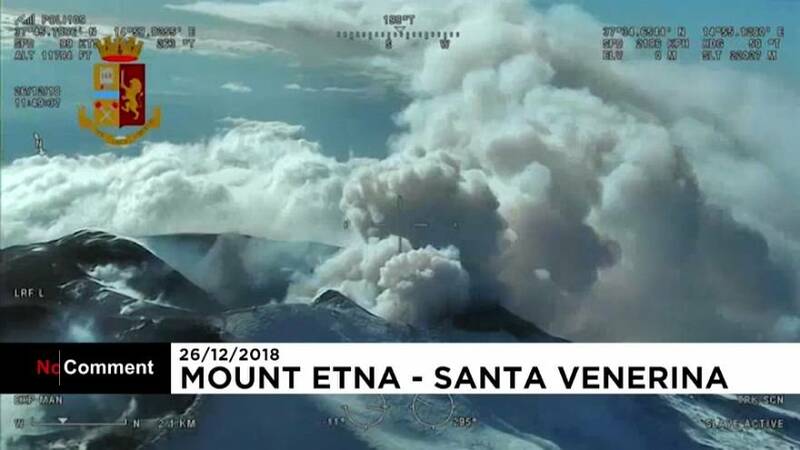 A huge plume of smoke continued to rise from Mount Etna on Wednesday (December 26) after an earthquake with a magnitude of 4.8 hit an area north of Catania, damaging buildings and injuring about 30 people. The earthquake occurred two days after Europe's highest and most active volcano erupted, sending a huge column of ash into the sky and causing the temporary closure of Catania airport on Sicily's eastern coast. Footage released by the Italian Police showed aerials videos of the smoke rising from the 3,330- metre high volcano and the effects of the earthquake.